Sena has a cheerful smile and happily attends our Abdi Academy in Dembi Dollo where she receives a great education and care, but Sena’s mum has had to care for her children under the hardest circumstances. Sena’s father died after becoming seriously ill due to having HIV AIDS, leaving Sena’s mum to bring up her four children alone, struggling to find sufficient food. Sena’s mum Alima, Sena’s elder brother and little Sena all have HIV and were suffering from the lack of nutritious food. HIV attacks the immune system so it is essential that Sena stays nourished and healthy so she can attend our school and gain a life-changing education. But we couldn’t just keep Sena healthy and let Sena’s mum struggle. What if Sena’s mum should die? What would happen to Sena then? That is why we care for the whole family on our HIV Food Programme providing nutritious meals, vital medical care and monthly food packages to keep their bodies nourished and healthy. Her improved health means that Sena’s mum is strong and healthy enough to work, so we enrolled her onto our Income Generating Activity Programme. Sena’s mum used to trade vegetables to provide for her kids but she was unable to expand her business because of her lack of funds. Now on the Income Generating Activity we have helped her start her business again and she is trading vegetables and selling fruits in Dembi Dollo. She has already made an excellent profit and is also able to share the vegetables and fruits with her children. 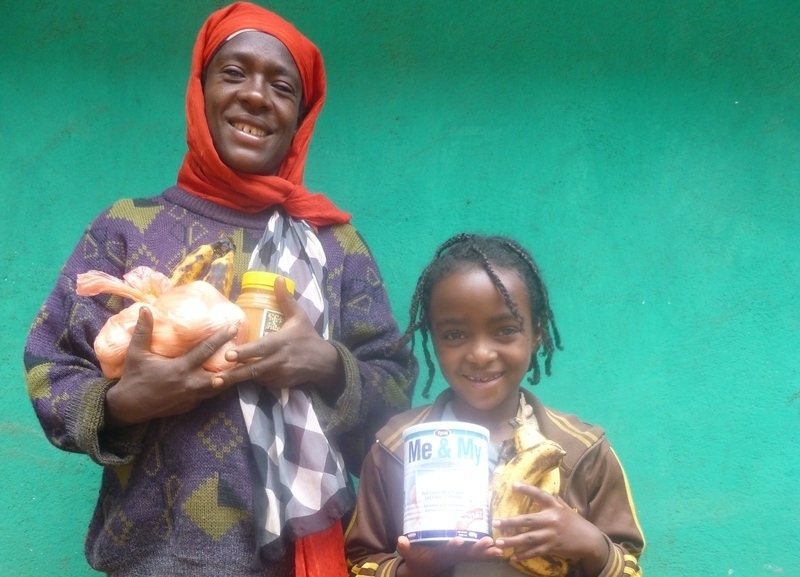 We can’t wait to see this strong women become self sufficient and proudly support her family. Would you like to support a family like Sena’s for a Mother’s Day gift? Call us on 0845 604 5543 to order a card before Sunday!